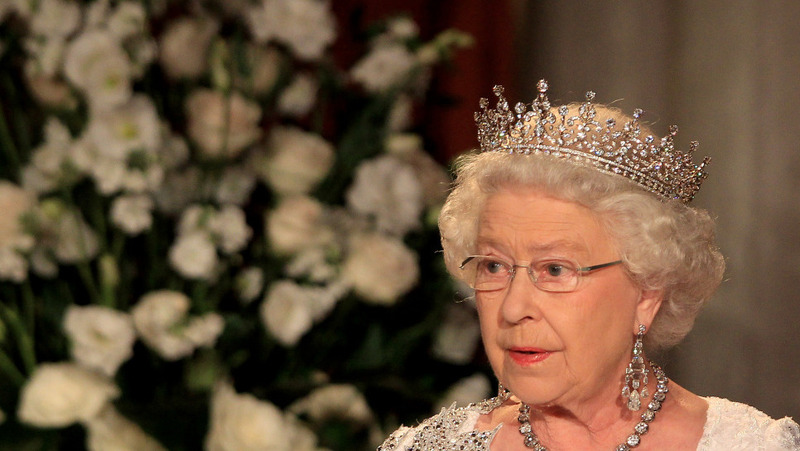 Queen Elizabeth II is visiting New York City today for the first time in 35 years. The Queen will be visiting the site of the World Trade Center, and then addressing the United Nations for the first time in half a century. The NY Daily News has more on her trip, but here are some interesting things you may not know about the fortieth monarch since William the Conqueror obtained the crown of England. 1. She is s the reigning queen of 16 independent sovereign states known as the Commonwealth realms: the United Kingdom, Canada, Australia, New Zealand, Jamaica, Barbados, the Bahamas, Grenada, Papua New Guinea, the Solomon Islands, Tuvalu, Saint Lucia, Saint Vincent and the Grenadines, Belize, Antigua and Barbuda, and Saint Kitts and Nevis. 2. The Queen was given a 23-carat pink diamond as a wedding present which was later placed at the center of a diamond encrusted brooch. 3. Although she learned to drive in 1945, the Queen does not have a driver’s license. In addition, she also does not have a passport. 4. Her first dog was a corgis named Susan, given to her as an 18th birthday present. Since then, she has owned more than 30 corgis. 5. Speaking of animals, the Queen owns all dolphins, porpoises, and sturgeons in British waters.